Operators of Nma Charity and Rehabilitation Centre Umunkpeyi, in Isiala Ngwa South Local Government, Abia State, have been arrested for allegedly running the place like a baby factory. A baby factory has been uncovered by the police in Abia State. Trouble started after three suspects with two new-born babies were arrested in Idi-Iroko border in Ogun Sate. After the suspects told the police that the two babies were bought from Nma Charity and Rehabilitation Centre Umunkpeyi, Isiala Ngwa South Local Government in Abia State, the police moved to arrest the owner of the suspected baby factory. The incident at the border happened on October 20 and days after the police arrested the suspects, the operator of the suspected baby factory, Lilian Nma Achumba, was also arrested. 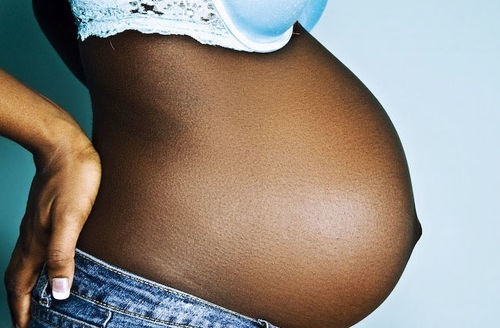 Briefing reporters in Ogun State, the spokesman for the police in the state, Aremu Adeniran, said 35 pregnant girls and women, six children and one new-born baby were rescued at the Nma Charity and Rehabilitation Centre. Adeniran said that the suspects with the babies were arrested at the border on October 20 in conjunction with the personnel of the force and the Nigerian Immigration Service while on patrol in the area. He said that during interrogation, it was established that the charity home which had branches in Port Harcourt and other parts of Nigeria, was established to harvest babies for sale. According to him, 28 pregnant girls and women and three children of the victims rescued have been officially handed over to the Ministry of Strategy and Social Development, Umuahia, Abia, and have been re-united with their families after receiving medical attention. “The Principal suspect Chief Lilian Nma Achumba has admitted and confessed to her criminal roles in the case. “Investigation is being intensified to uncover other illegal orphanage branches being operated by the principal suspect, to rescue victims and arrest other members of the syndicate still at large,” he said. He also told reporters that the suspects would be arraigned in court on completion of investigation. “The Force also enjoins parents and guidance to pay keen attention on the care of their wards and children, especially the girl child,” he said. The spokesman for the force said the case had been handed over to the Anti-Human Trafficking and Women/Children Protection Unit of the force for discrete investigation. He stated that the Anti-Human Trafficking and Women/Children Protection Unit of the Force in compliance with the directives and their expanded mandate have been working in good synergy with relevant agencies of Government in the fight against the trafficking of persons and abuse of rights and privileges of women and children.